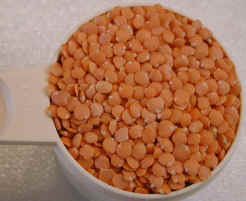 (Lentils, Red) Red lentils are the fastest cooking lentil that we have prepared. The skins begin to come off after about five minutes of cooking and the lentils begin to come apart after about ten minutes. 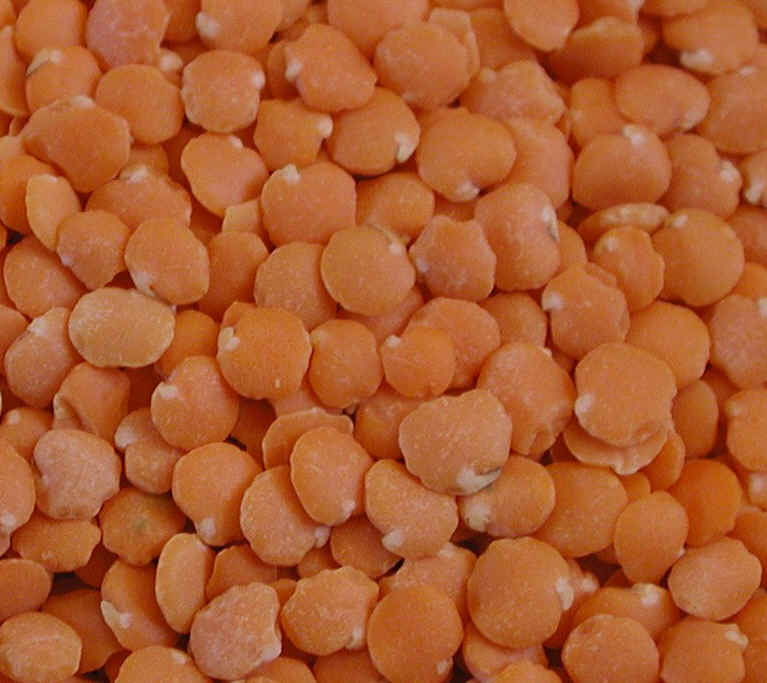 During the cooking process, the red lentils change from their red color to a yellow-gold color. They are great for making soups and chowders. The only places we have found that sell red lentils are health food stores and food coops. We could not find specific nutritional information for "red" lentils, but did find information on "pink" lentils, which we suspect may be the same lentil with a different name (see below). 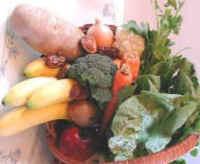 The actual size of the lentils can be seen in the cup to the left.